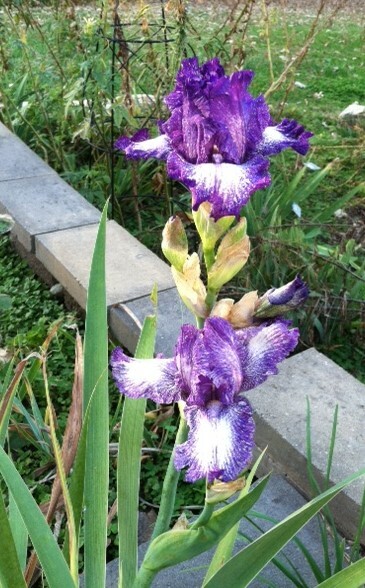 Kris Jurik has another rebloomer in her garden. This is ‘Clarence’ by Zurbrigg (1991) in a November 2, 2016 photo. 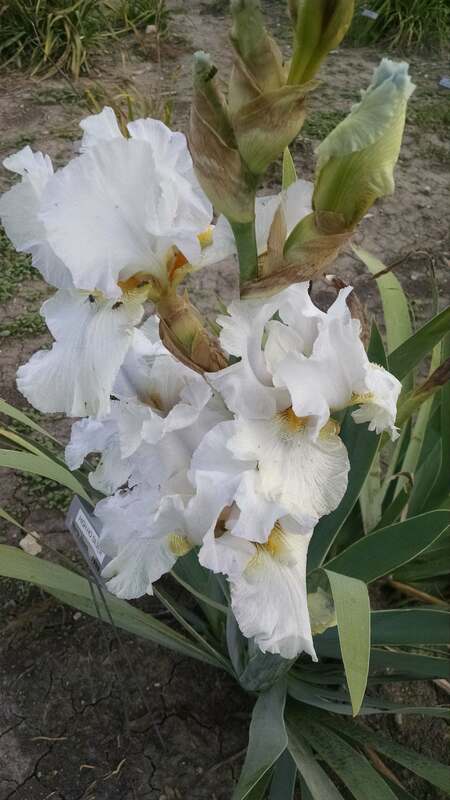 This rebloomer was a Wister Medal winner in 2000. 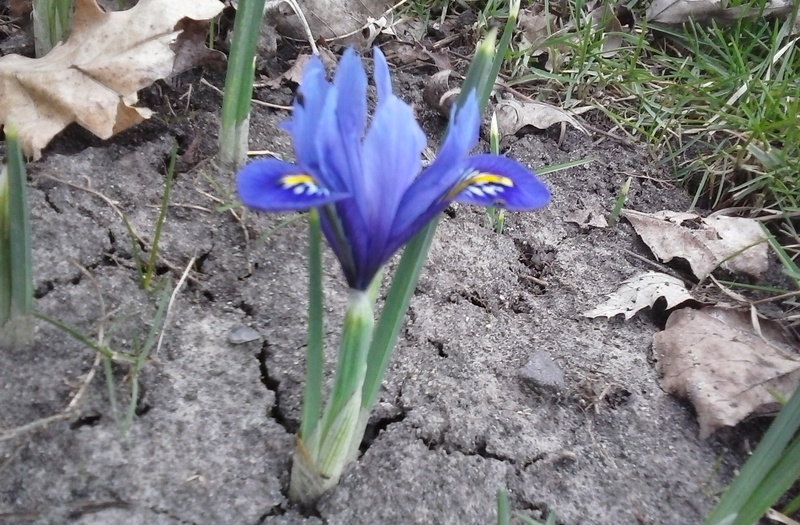 This year our first iris bloom was much earlier, because of adding Iris reticulata bulbs last fall. 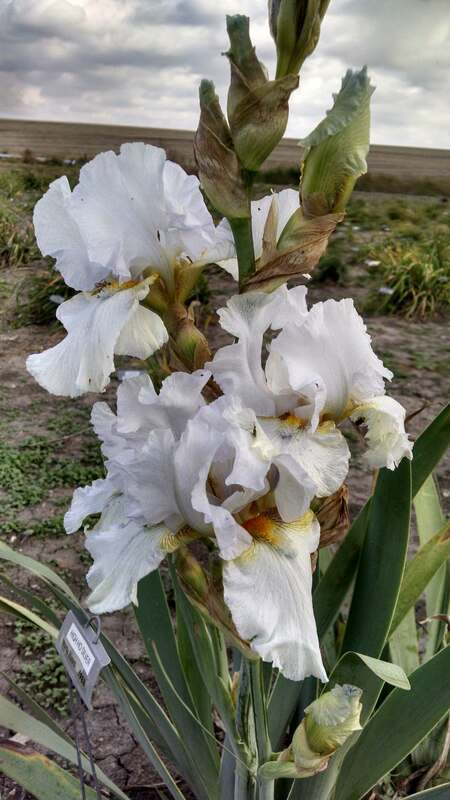 Today (March 30th) one was in bloom and two others have color visible at our central Iowa location. 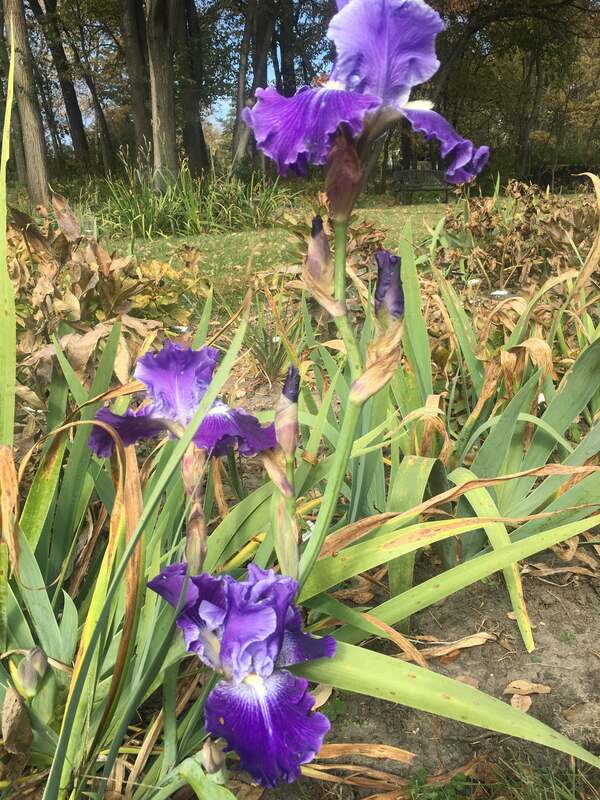 Last year we did a series reporting when and where particular irises began blooming because we thought it could be helpful to have information on when irises are blooming in the Region in more or less real time. 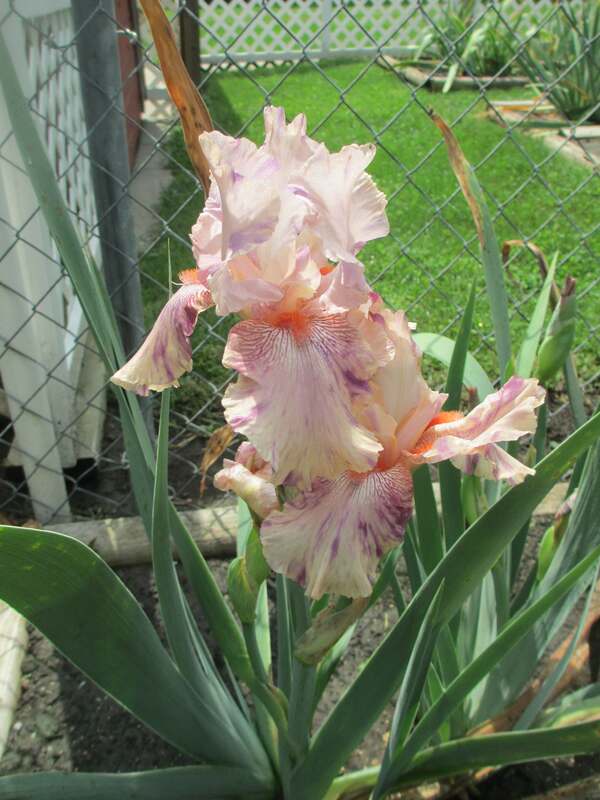 So that you, your friends and neighbors, and visitors will know when to see the irises. 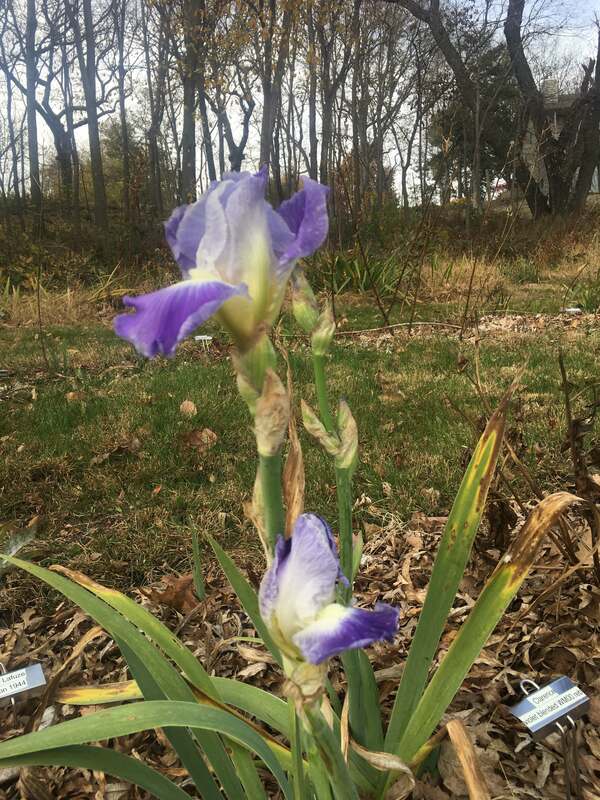 When/where to see the early irises. 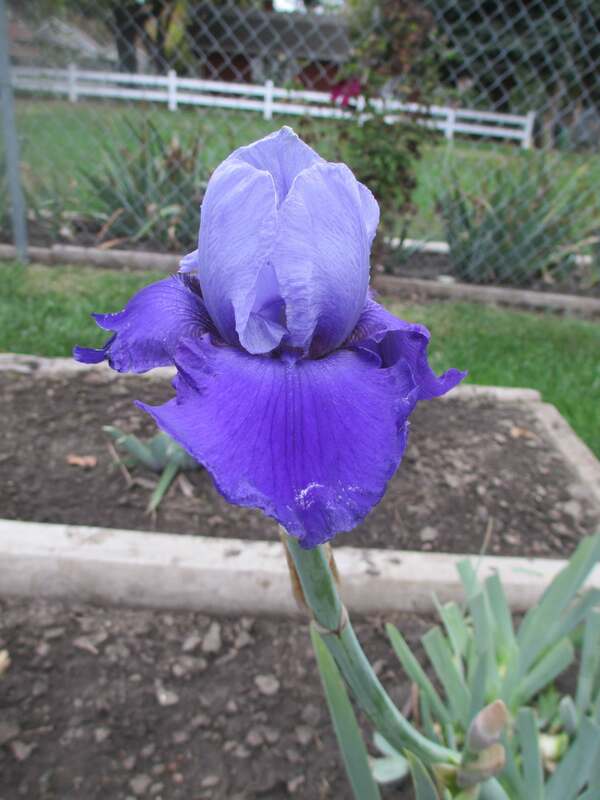 When is the peak bloom time in your garden this year? When is the best time to see public displays in our Region this year?